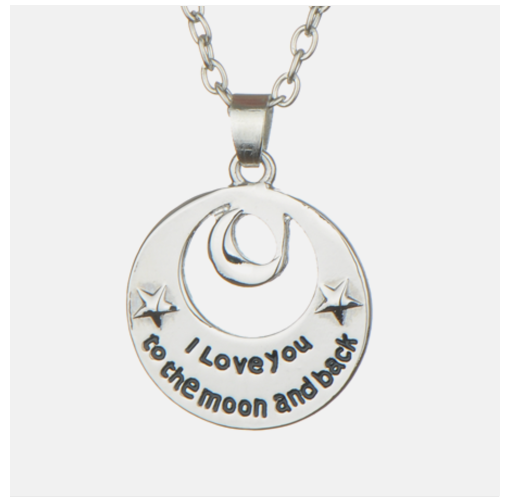 I Love You To The Moon And Back Necklace Only $8.98 SHIPPED (Reg. $99)! You are here: Home / Great Deals / I Love You To The Moon And Back Necklace Only $8.98 SHIPPED (Reg. $99)! I tell my kids this every day and night! And I just LOVE this necklace! Right now, we can snag this gorgeous I Love You To The Moon And Back Necklace for ONLY $8.98 SHIPPED (Reg. $99)! WOWZA! I love fab gifts like this under $10! !